Swiftic provides a wide range of features and advanced tools that enable you to easily create your own app. Click here to create an app. Enter a name for your app (don't worry, you can change this name later) and click Next. Enter your Facebook Fan page and click Next. This feature automatically grabs all relevant content from your Facebook Fan Page. Note: The Facebook Page must be a Fan page, and not a private profile or group. If you don't have a Facebook page, click Click Here. If you want to use your website to create your app, enter your website URL and click Next. This feature automatically grabs all relevant content from your website. If you don't have a website, click Click here. Select the app category that best fits your app and click Next. Use the app editor to add app features, edit content, design your layout and style and even install your app on up to 5 mobile devices all for free! See Add Content to Your App for more information on adding and editing content. When you are done editing, make sure to click Continue (don't worry, you can always come back and continue to edit your app). In order to save the app you are working on, quickly setup your Swiftic account by clicking Join with Email or Join with Facebook OR if you already have a Swiftic account, click Sign In. Congratulations! 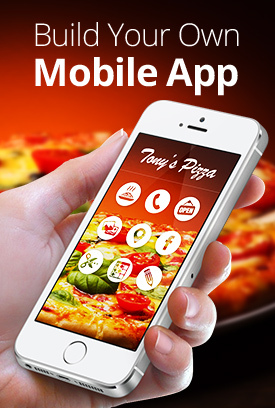 With absolutely no coding, you've created an app for all major mobile devices!